Resolving IP disputes out-of-courts. Costs control, professional and fast. One single mission. Since 2001 Domains Disputes Resolution Centre accredited by .it Registry. 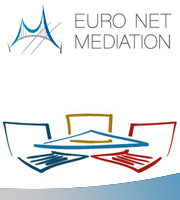 Since 2012 IP Mediation Centre authorized by Italian Minister of Justice. Since 2013 Mediation Training Centre authorized by Italian Minister of Justice. Since 2015 Uniform Rapid Suspension system (URS) Dispute Resolution Provider approved by ICANN. First and unique devoted Italian IP disputes resolution Centre. Right. Video message by Vĕra JOUROVÁ (EU Commissioner fo Justice) for EUROCHAMBRES 'Mediation for growth' conference which took place on 10 December 2014 in Brussels. Left. The European Parliament Study on Mediation time and cost Savings and effective Mediation policy (ADR Center TV). The article: Domain names: wet gunpowder of the domain disputes ? 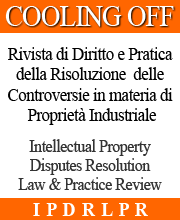 Published in the Journal of the Italian IP Attorneys’ Association by Alessio Canova in October 2017 (http://www.ordine-brevetti.it/it/rivista-ordine) provides the opportunity to clarify whether and in which measure the case law in domain disputes has been enhanced and the role, powers and duties of a Dispute Resolution Provider (DRP).